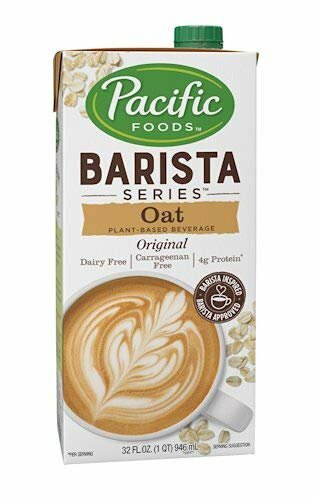 Pacific Natural Foods Oat Milk Barista Series-Non-Dairy Gluten Free- 32 oz ea- case of 4 by Pacific at Smokey Robinson Foods. Hurry! Limited time offer. Offer valid only while supplies last. Use Pacific Foods Barista Series Oat Milk to creating stunning latte art and craft gourmet beverages. View More In Milk Substitutes. Imagine Foods Rice Dream Traditional Rice Drink - Horchata - Case of 6 - 32 Fl oz.